Is there something that humans just don’t understand about life? How is it possible for seven billion human beings to all want the same thing—safety, security, peace, prosperity, opportunity, happiness, and love—yet be unable to produce it for any but the tiniest percentage, even after thousands of years of trying? I pose this question wherever I appear on my speaking tours, but I rarely get a satisfactory answer. That’s because most people do not understand the nature of the problem. As a result, we keep trying to solve the problem at every level except the level at which the problem exists. First, we try to solve the problems as if they were political problems. We author legislation, we pass resolutions, we issue declarations and sign documents, we create governments and then, by vote or by force, dismantle the governments we have created—we try everything we can think of politically, and yet we are faced with the same problems today that we have faced for centuries, and indeed, for millennia. So we say, obviously these are not political problems. They must be economic problems. And we then try in every way that we can to manipulate how cash flows around the problems. We throw money at them (as in the sending of foreign aid), or we withhold money from them (as in the imposition of economic sanctions). We try everything we can think of economically, and yet we are faced with the same problems today that we have faced for centuries, and indeed, for millennia. So we say, obviously these are not economic problems, they must be military problems. And then we shoot bullets at them and drop bombs on them and fire missiles into them. We try everything we can think of militarily, and yet we are faced with the same problems today that we have faced for centuries, and indeed, for millennia. Yet the problem facing humanity is not a political problem, it is not an economic problem, and it is not a military problem. It is a spiritual problem, and it can only be solved by spiritual means. It seems to me that nothing we are doing is working. Our political systems clearly are not working. Our economic systems clearly are not working. Our ecological systems clearly are not working. Our health care systems clearly are not working. Our educational systems clearly are not working. Our social systems clearly are not working. And saddest of all, our spiritual systems clearly are not working. Nothing that we have created to produce a better life for all of us is producing that outcome for the largest number of people. In fact, it is worse than that. They are actually producing exactly the opposite. It is time to arouse humanity from its slumber. There is obviously something we don’t understand, both about life and about God, the understanding of which would change everything. I have catalogued what I consider to be humanity’s major misunderstandings in my latest book, Conversations with God-Book 4: Awaken the Species. 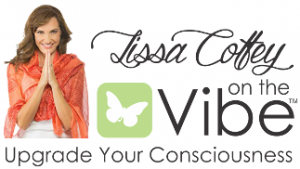 I offer seven tools for integrating the behaviors of fully awakened beings into an average person’s daily life. Perhaps the most startling assertion of my new book, however, is not about current human behaviors, but the behaviors of extraterrestrial beings—who I am convinced not only exist, but are actively working to help the people of Earth grow in their understanding. My book includes a list of what I believe are sixteen crucial differences in behavior between what I describe as “Highly Evolved Beings living in an awakened state” and those human beings who are not. I understand that such an assertion will meet with skepticism at best, and derision in some quarters for sure. Still, I think most people now accept that we are not alone in the cosmos, and most would be comforted to know that benevolent beings are seeking to help us move forward in our evolutionary process. Yet if such beings are helping, one might ask, why is our planet now facing crisis after crisis, with terrorism destroying lives, economic dreams being shattered, and unpredictable political upheaval emerging everywhere? In my view, the fact that these conditions exist make this the perfect time for our advancement. They comprise the storm before the calm, their severity serving to shake humanity from its complacency, awakening us to what now urgently needs to be done if we are to keep the promise of our potential. I was told all of this in my latest conversations with God, a communication with the Divine that I believe all people are having all the time. Most people are simply calling it something else. A moment of inspiration, perhaps. A sudden insight. A wonderful or brilliant idea. An intuitive sense. Some have even labeled such moments an epiphany. People will call it whatever they have to call it to get away with sharing their experience without having to claim that God spoke to them, or that Divine revelations had anything to do with it. Whatever words we use, we are talking here about the expansion of awareness that arises from the place of highest wisdom within all of us. It is the daring vision of Galileo, the incisive clarity of Socrates, the expansive understanding of Simone de Beauvoir, the intellectual bravery of Gertrude Stein, the pure genius of Madam Curie and Albert Einstein that resides within everyone, awaiting our access and our use. 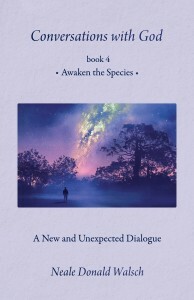 Book 4 in the Conversations with God series contains an invitation to human beings to choose to be among those who commit to moving forward their own individual and personal evolution by embracing and demonstrating behaviors that serve to awaken the species to who and what human beings really are (Individuations of Divinity), and how that may be made manifest in daily experience. The book comes out late March from Rainbow Ridge Books, distributed by Square One Publishers in New York. 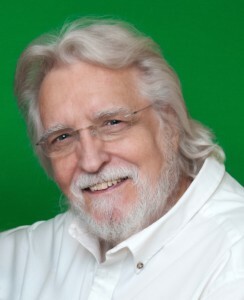 –Neale Donald Walsch is the New York Times Bestselling author of nine books in the Conversations with God series, which have sold more than ten million copies in 37 languages. He is one of the major authors in the new spirituality movement, having written 29 books, with eight books on the New York Times bestseller’s list. His life and work have helped to create and sustain a worldwide spiritual renaissance, and he travels globally to bring the uplifting message of the CwG books to people everywhere. “Forgetfulness” goes beyond forgiveness. First you forgive, then you forget. This is present-moment awareness in action! The past is history – it’s gone, and it can certainly be forgotten. As we grow and change, as our relationships grow and change, forgetfulness can be a welcome accommodation!